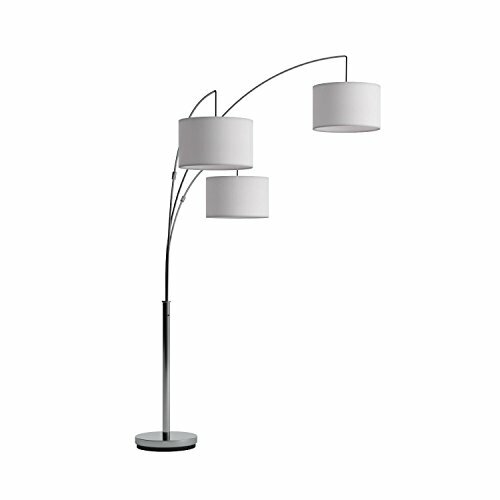 Give your living room the focal point it needs by housing this beautiful Trinity floor lamp by Adesso. The gorgeous design with flexible burlap drum shape heads is perfect for enhancing the designer quotient of your home. Adjustable height and width of this lighting equipment let you get direct focus while reading. 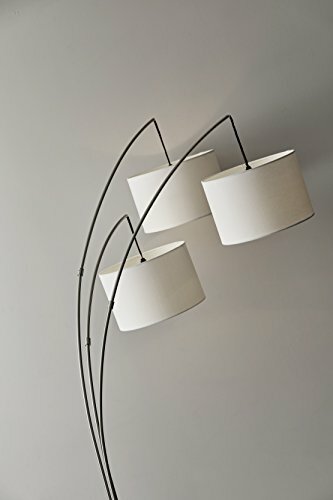 The uniquely designed Adesso lamp with curved arms is compatible with a 100W incandescent bulb or 26W CFL. 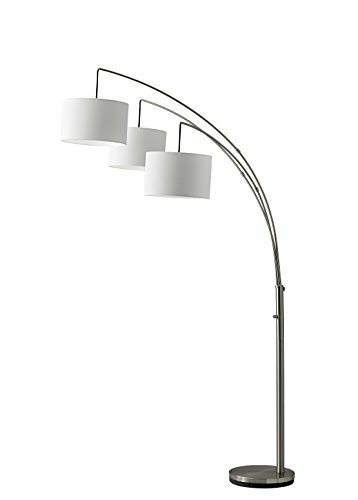 Bright or mood lighting effects glide in effortlessly with this amazing lamp. The 4-way rotary switch adds to the functionality of this practical Adesso lamp. The clear cord of the lamp camouflages with the home decor setting, avoiding any kind of cluster. 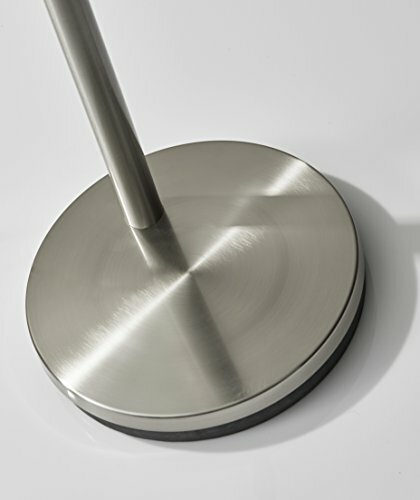 Easy to clean and low maintenance floor lamp.